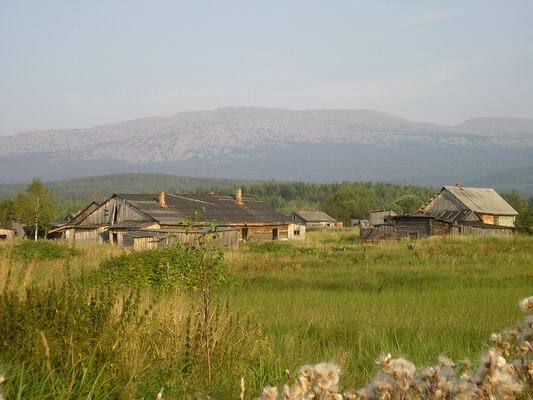 Middle Urals - the lowest region of the Ural Mountains, lies between 56 ° and 59 ° c. sh. 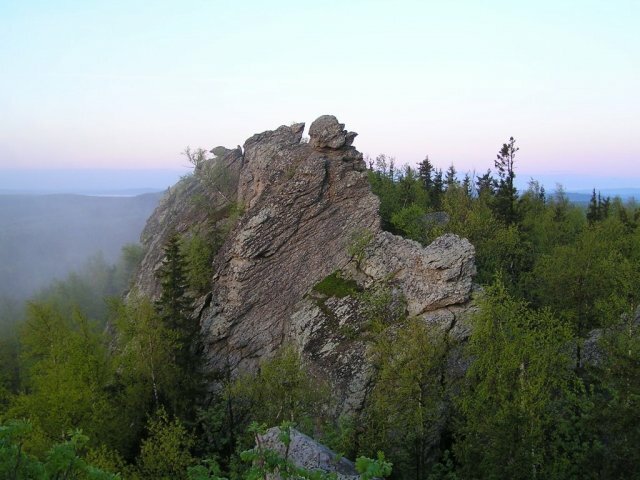 The southern boundary is Yurma mountain that lies in the Chelyabinsk region and the northern mountains Kosva stone and its neighbor - Konzhakovsky stone. On average, the mountains do not exceed the 800 meter barrier, with the exception of a few. 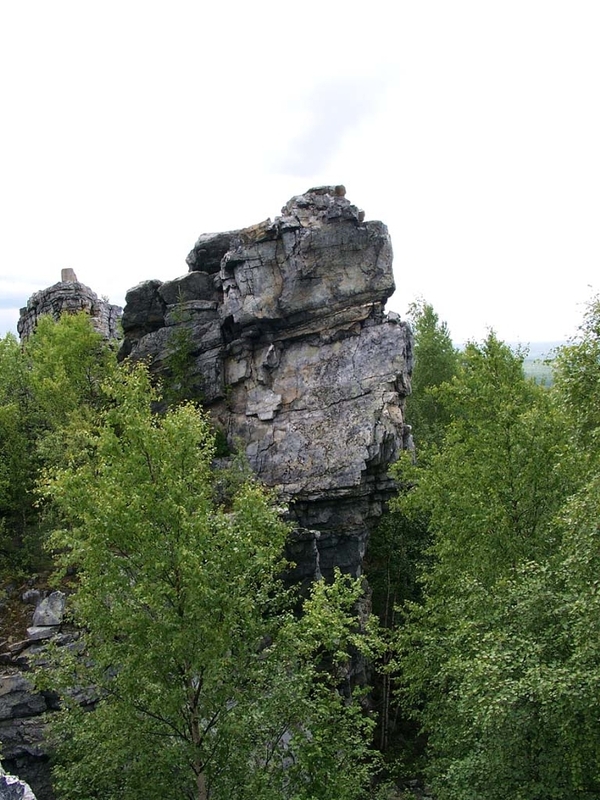 These rocks are in Revda area of the Sverdlovsk region (not to be confused with the same name in the district of Nizhny Tagil) is visible from the top of the rock mountain Shunut-stone. 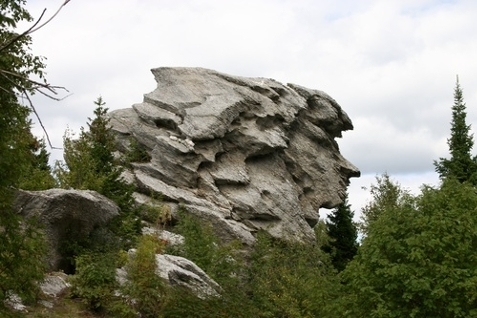 Located in the national park Taganay in the Chelyabinsk region. Is the southern border of the Middle Urals. 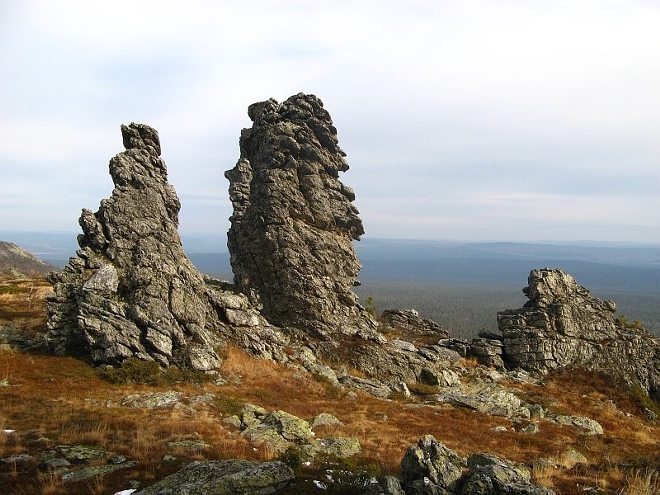 Is the highest mountain in the vicinity of Yekaterinburg and the most interesting place for hiking. 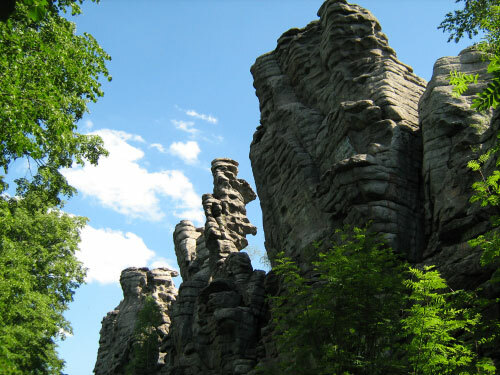 Height of the rock - 25 - 40 m from the west, 60 - 70 m from the east, age - more than 600 million years. From the top of a beautiful view of the surrounding countryside can be seen Revda, Mariinsk, Krasnoyar, and more. Lovers of romance will want to certainly see the sunrise or sunset at the top. 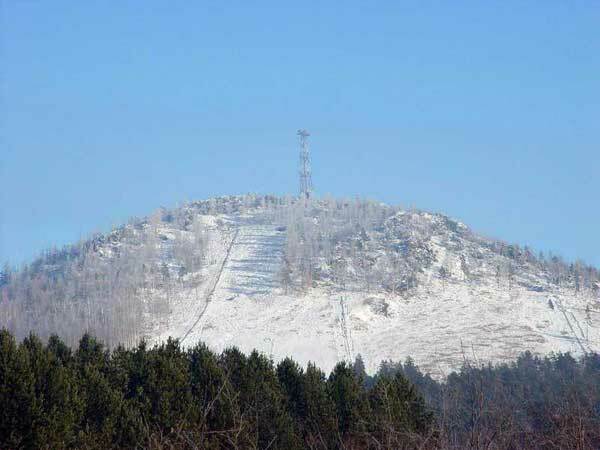 Is the highest peak of the Middle Urals, is located in the district of the Perm region Kizel. Hike to Mount Oslyanka begins in an abandoned village of Much Oslyanka, the distance is 20 km. Located in Lysvensky district of the Perm region, not far from the village of Kin-factory. 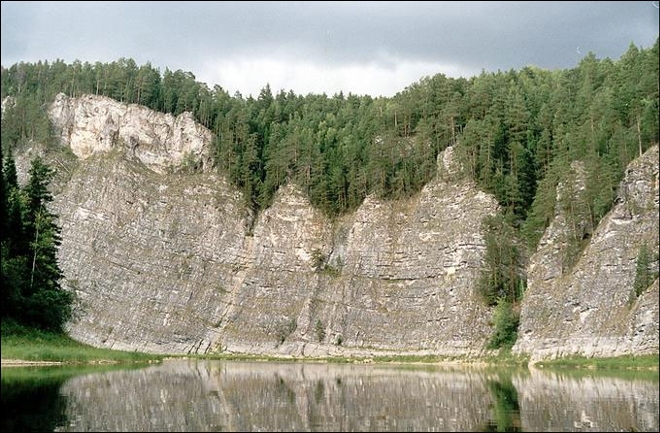 It is the biggest rock in the river Chusovaya. In appearance similar to a huge wall that is visible in the photo. Not far away from the cliff, the stone stove (upstream 1 km) is a shelter from the local timber industry. 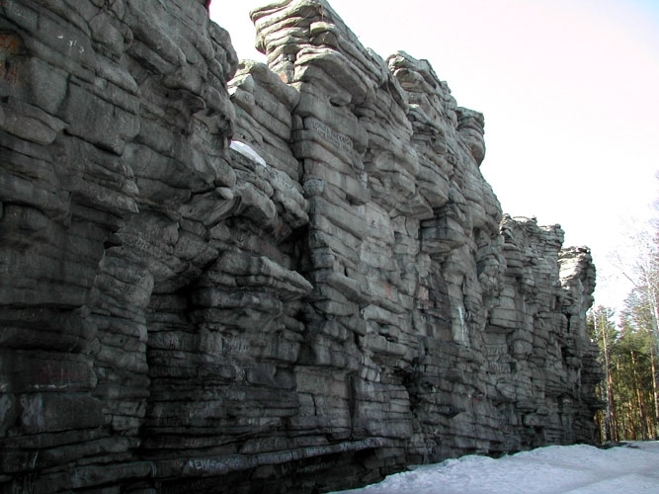 Located in the vicinity of Yekaterinburg, is a popular destination with rock climbers practice, is also suitable for family day trips, both summer and winter. Not far away is the cordon "Devil's ancient settlement". Located 6 km from the village of Verkh-Neyvinsk. The height of 25-32 m in demand among rock climbers and hikers. 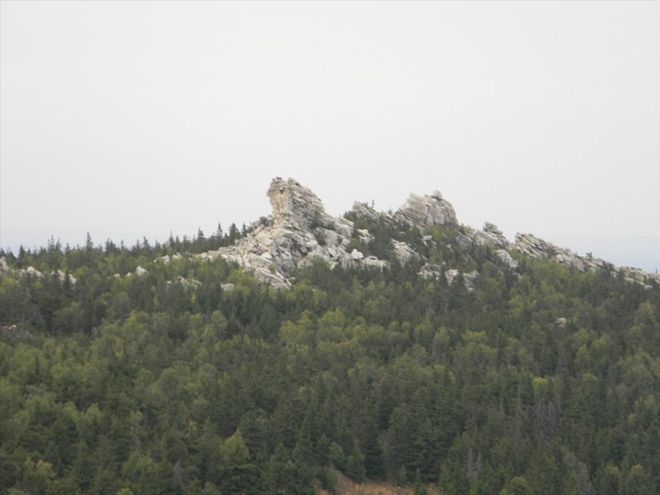 Located in Revdinskogo area of the Sverdlovsk region. On the mountain ski center is located. It is believed that the name of the mountain was given because of the abundance of wolves in ancient times, which is not surprising, since even now in the vicinity of mountains inhabited by a large number of birds, the main prey of wolves. Located in the district of Nizhny Tagil, Sverdlovsk region. Located in the mining industrial district of the Perm region. At an altitude of about 750 meters begins alpine tundra, shrub plants, kurumnik. At the top of the rock outcrops. In the climate of the Middle Urals play a major role westerly winds blowing from the Atlantic Ocean. Because of the change of warm and cold weather flows often varies not only during the week, but the day. Distance from the Atlantic Ocean and the proximity of Siberia make the Middle Urals carrier continental climate, reflecting more rapid change in temperature. The Ural Mountains, stretched from north to south, preventing the movement of air currents from the west. Therefore, on the western slopes of precipitation is greater than on the east and the east of the Urals. At the same time, the mountains do not interfere with the movement of the air in the southern or northern areas. Arctic cold air often enters along the ridge far to the south, and warm and dry in the south moving north. Especially in spring and summer, to the east of the Urals these movements cause the unstable weather. The average January temperature ranges from -16 to -20 degrees in July from +18 to +19. Sometimes frosts -40 -50 degrees. The frost-free period lasts in the south of the Middle Urals 110-120 days, 90-95 days in the north. This much rain falls. The eastern part of precipitation is 400-500 mm per year, the south-east - up to 380 mm. The mountain is part of a hydrated, and the amount of precipitation in the mountains of the northern part of the Middle Urals comes to 700 mm per year. 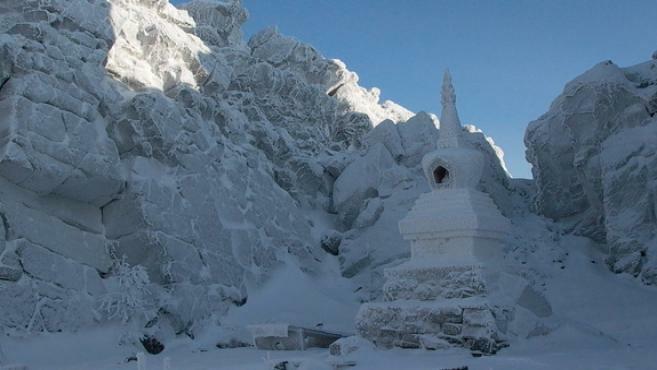 In winter, the accumulated weight of snow, especially in the mountains. Melt it in the southeast of the Middle Urals in the middle of April, and on the north-east - at the end of April. On the tops of the mountains and thick forests of melting continues in May. Summer in the mountains is cooler and shorter than in the neighboring areas. At this time there is more often rainy and cloudy weather. Winter lasts approximately 5 months, from November to April, and from the appearance of the snow cover. With clear skies and no wind, when it's very cold air from the Arctic, severe frosts occur (-20-40). Winter - the most stable season. Thaw and rain of winter - a rare phenomenon and is more common in the south-western parts of the Middle Urals. Spring lasts from April to the end of May. During this period of cold rarely come back, it's connected with the spread of air from the north area. Frosts are usually terminated in May, but freezing at night, continue to the end of spring. Summer in the Middle Urals is often associated with overcast, rainy days and cold snaps. In the southern part of the dry weather in June, more often, in the rest of the Middle Urals - in July. Autumn begins in September and continues through October. Often go drizzling rain, begins a gradual decrease in temperature, increasing cloudiness. In rare years, autumn is a stable, dry weather, a good mushroom crop.